State superintendent Tony Bennett shakes hands with students assembled at a press event in Broad Ripple High School on Indianapolis' north side. 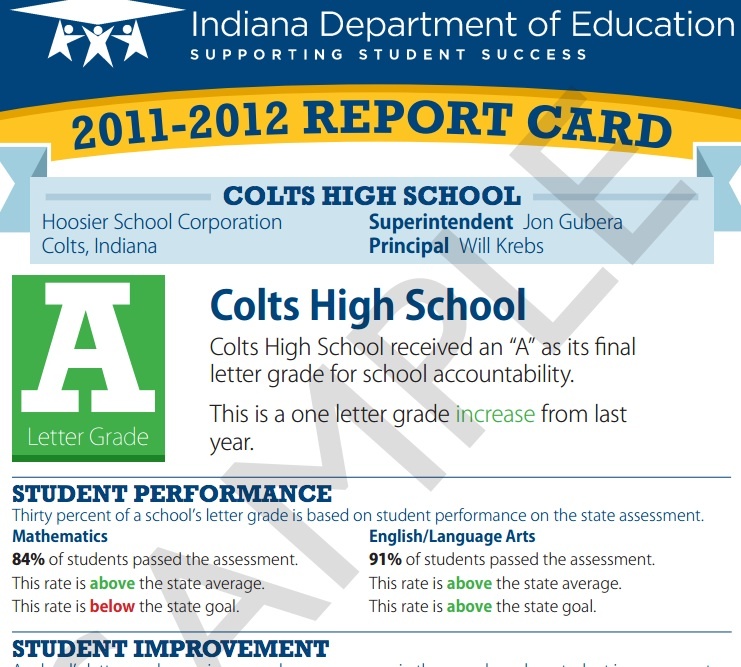 To mark the release of Indiana’s 2012 A-F school letter grades, state superintendent Tony Bennett stopped by Broad Ripple High School — a school that, after years of consecutive F’s, received a B this year. It matched Bennett’s message to press assembled at the Indianapolis magnet school: The state’s letter grades, he says, represent “positive news” overall about Indiana schools’ performance. “You went from an F to a B through the hard work of your teachers, your students and the Broad Ripple school community. I want to congratulate everyone for this work,” Bennett said. Broad Ripple’s jump from F to B — no doubt aided in part by a state-led intervention that began in the school last year — was not typical statewide. Predictions of widespread declines in schools’ letter grades in the first year of a new model for calculating the A-F ratings didn’t pan out, either. As we pointed out earlier, three in four schools’ ratings were unchanged from last year or different by only one letter. “These new measurements… by a long shot, we believe, are much better than the old measurements,” Bennett told the State Board of Education Wednesday. 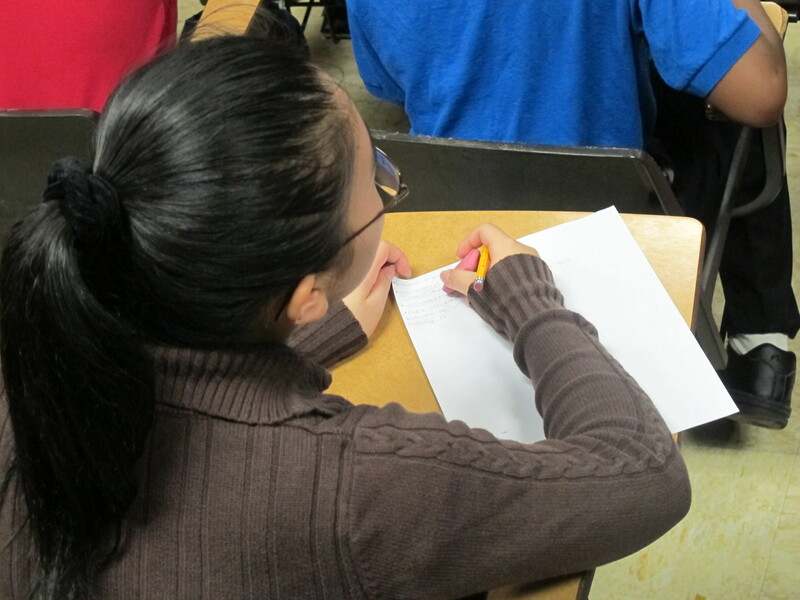 Some remain concerned about the new formula used to determine the grades. Bennett’s opponent in the election next week, Glenda Ritz, questioned the validity of the recently-debuted “growth model” and offered her own alternative. But objections to the growth model — which places less emphasis on the rate at which a school’s student body passes statewide tests and more emphasis on individual students’ improvement — predate election season. Before the State Board of Education approved the new letter grades in February, more than 30 speakers (including some traditional Bennett allies) rose to criticize the growth model during a public comment period. “Statistically speaking, everyone disagrees with how that formula is being applied,” Merrillville Schools superintendent Tony Lux told The Times of Northwest Indiana. One local district administrator, Judy DeMuth, complained to StateImpact about delays in the letter grades’ release, which she attributed to basic errors in the state’s data. State officials say they delayed the release and extended appeals windows to make sure all districts’ questions were answered. 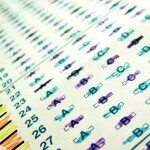 [The] A-F [grading system] is a distraction for Department of Education employees. It’s a distraction for our school administrators. It’s demoralizing walk into schools. I had schools who were an A, an A, an A, now they’re a D. Now you go and tell that staff you’re a D after getting three A’s. I think it’s demoralizing to the staff. I think it puts them in a situation where they feel underappreciated… It really comes down to this for me: I think that I don’t need a grading system. All I need is a vehicle to go in and look at our scores, aggregate the information, look it over, see what our strengths and weaknesses are and attack those weaknesses to meet the needs of those kids who are the lowest level of learners. We wanted to get this right. These are new data sets. These are new data points that schools have had to drill into, that our staff has had to drill into, and that we’ve worked very closely with schools to make sure that their designations are correct. So it has taken us a while to work through the appeals. Let me give you some statistical perspective. This year we had 140 appeals that were brought to the department. In comparison, we had 83 last year, and we had 138 in 2010. This year, as we drilled into this data and as schools drilled into this data, 42 percent of those appeals were at least partially approved. Let me explain what I mean by ‘partially approved.’ Schools have become so accustomed and really so focused on their data that they drilled into data that may not affect their letter grade. They just wanted to be certain that the right data was for the right students and that they understood which students are getting growth, which students should be counted, those types of things. And that’s a very positive thing… Of that 42 percent, 11 percent changed a grade. AYP caps meant you only get a C if subgroups didn’t meet certain levels. We had a number of traditionally high performing schools capped at a C because of that federal requirement. With this waiver, we are now able to prove those are A schools. There is a swing of schools up from C to A because they are no longer capped at C. That’s another product of this model. While the number of schools that showed improvements as drastic as Broad Ripple’s were few and far between, Bennett noted that most of the schools that increased their ratings by three or four letter grades were “high poverty” schools. “This is a time to celebrate success,” Bennett said. I am a little surprised about the number of criticisms that we’ve heard about it… I just don’t get where the urgent panic is coming from. We’ve been floating these ideas for a long time now. The fact that the federal government really liked it, I think speaks volumes to the fact that we’re probably on to something here. People right, left and center seem to have problems with the system, which in my contrarian nature, I say, maybe we should be trying this then.